Why’s it hot? 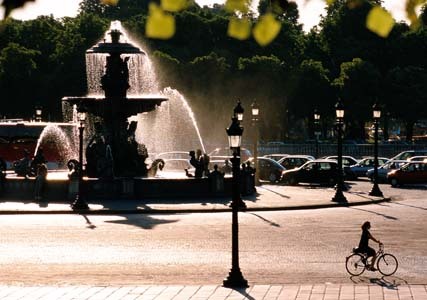 Opened on 20 April 1913, the Hôtel Plaza Athénée is one of the French capital’s famous ‘palace’ hotels and has a long association with haute couture. 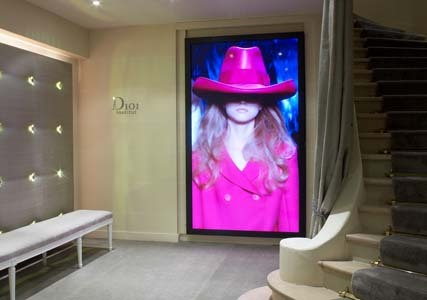 Christian Dior opened a store close by in 1947 and his creations were often showcased here with some outfits named after the hotel. Stars such as Grace Kelly, Ava Gardner and Gina Lollobrigida were regular visitors while Elizabeth Taylor and Richard Burton checked into its Royal Suite for six months. The Plaza Athénée remains a fashion world favourite, with sister hotels in London, Milan and Los Angeles, and is part of the Dorchester Collection which awards an annual Fashion Prize to emerging talent. Top names such as Pucci and Salvatore Ferragamo have held launches here and its gilded halls are a popular hang-out for designers, models and stylists – which might just have something to do with the wonderful pâtisserie created by its world champion pastry chef Christophe Michalak, or the very girlie cocktails (try the jelly shots, £22, made with Kahlua, Baileys and Grand Marnier) served in the Patrick Jouin-designed Bar. What’s it got? A winning location on Avenue Montaigne, which is twinned with New York’s Madison Avenue and lined with all the top fashion houses. Step outside and there’s MaxMara to the left, Valentino to the right, with Fendi, Armani and Louis Vuitton opposite… Walk one way and you’re on the Champs-Elysées, head the other and there’s the Eiffel Tower rising up above the Seine. Staying at an exclusive address like this doesn’t come cheap, but even if you don’t check in, the Plaza Athénée is well worth a visit for a drink, some afternoon tea or a meal to soak up the scene. Order an outrageous cake (£15) in La Galerie des Goblins, or a vodka and Cointreau fashion ice (£18) in the Bar. The art deco Le Relais Plaza restaurant, which opened in 1936 and has an entrance decorated with signed photographs of its many celebrity guests, is a good choice for a romantic meal – go for the two-course menu (£39) where you can savour delights such as Brittany turbot with asparagus followed by a sinful ‘Religieuse’ cake with caramel salted butter. Wow factor: With its bright red awnings, smartly uniformed staff and a creeper-clad inner courtyard, the Plaza Athénée is an excellent place to go if you’ve something to celebrate. Most of the hotel’s 146 bedrooms and 45 suites are in a classical style, plushly elegant with Italian linen and bright, marbled bathrooms – or there are rooms with art deco interiors on the uppermost 7th and 8th floors. If you need to relax, the Dior Institut spa (spaplazaathenee.com) has expert treatments, while the three Michelin-star Alain Ducasse restaurant offers sublime dining beneath an explosion of chandeliers – book well ahead. The concierge desk can arrange almost anything – if the sun’s out ask to borrow one of the hotel’s free bikes, which are stylishly painted in lipstick red. Need to know: Ah yes, Paris in the spring… Don’t miss the free Paris Haute Couture exhibition running at the Hôtel de Ville until 6 July (closed Sunday, paris.fr/haute-couture), which has almost a hundred designer dresses, hats and accessories on display with everyone from Worth to Jean Paul Gaultier via Fath and Balmain represented. Quiet Paris (£12.99; Frances Lincoln) is a new, gentle-hearted guide to tranquil spots around the capital, including museums, gardens, cafés, bookshops and specialist outlets such as L’Artisanat Monastique (artisanatmonastique.com), which sells beauty and food products handmade in French monasteries. Book now: Eurostar (eurostar.com) has rail services from London and the southeast to Paris, from £69 return, and ticket-holders can get good 2 for 1 deals for exhibitions, see here. You can also fly from numerous UK airports (skyscanner.net). 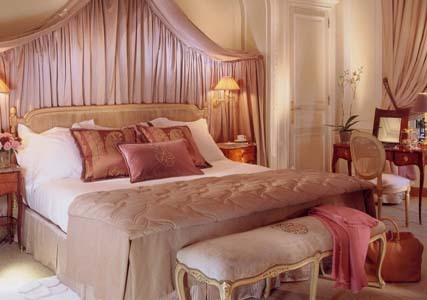 Double rooms at Hôtel Plaza Athénée (plaza-athenee-paris.com) cost from £909. Time Out Shortlist Paris 2013 (£7.99, Time Out) is a handy guide, for more information see parisinfo.com.